The email claims to be from the United States Postal Service but has fraudulent information about a package delivery or online postage charges. The email will also have a link or attachment which the customer is instructed to open or print a label. When the customer clicks or opens the file, it will install a malicious virus that can steal their personal information from their computer. 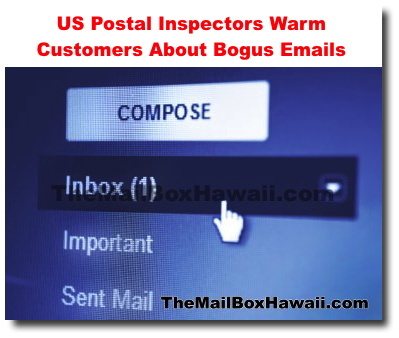 The Postal Inspection Service is warning customers not to click on the link or open any attachments and to simply delete the message. If you have received a suspicious email claiming to be from the USPS, you can report it by calling 1-800-ASK-USPS or email spam@uspis.gov.